Designed to hold the contents of our accessory kits. Available in Black Onyx, Traditional Oak, Black Cherry, Nutmeg & Port finishes. 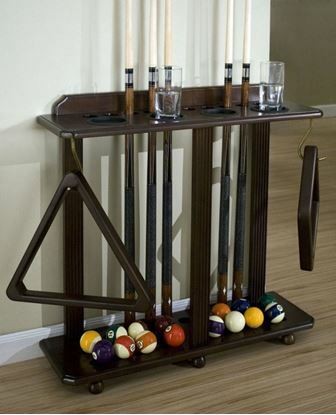 A cue rack to fit your needs. 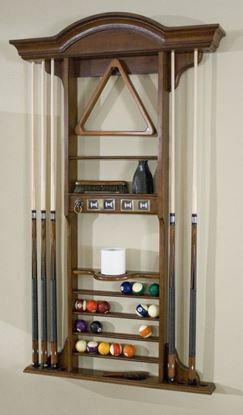 Storage for cues, two ball racks, chalk, brushes and additional accessories. Available in Black Onyx, Traditional Oak, Black Cherry, Nutmeg & Port finishes. 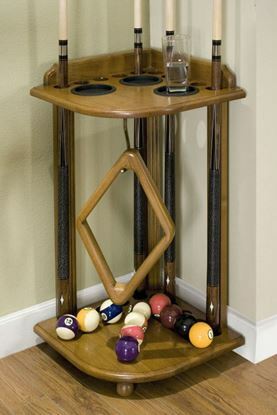 Add storage to your billiard table with the Perfect Drawer. 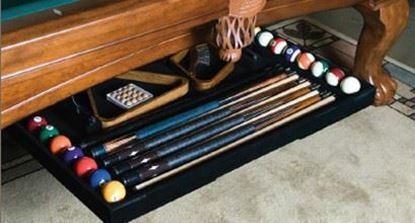 Whether installing on a new table or adding it to a table purchased in the past, the Perfect Drawer allows you to store all of your billiard accessories uniquely and safely under your billiard table. If you prefer to not store your accessories in a wall or floor rack, or if you don't have space for a storage bench, the Perfect Drawer is the perfect option. The Perfect Drawer is available is sizes to fit both 7 and 8 foot tables. An extension kit is available for 9-foot billiard tables.